PRELIMINARY results from a community survey have revealed that Douglas Shire ratepayers value their roads the most. The results were crunched from 654 responses ahead of the first community workshops in Cape Tribulation and Cow Bay on Friday. 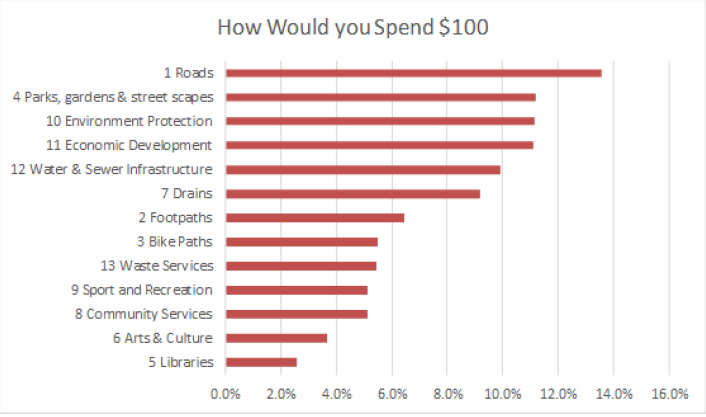 In the survey, Douglas Shire Council asked residents how they would like their rates spent and what Council’s priorities should be for the next five years. Roads was the clear winner, followed by parks, gardens and streetscapes; environmental protection, economic development; and water and sewer infrastructure. Almost half the respondents also listed tourism as a key priority, while protecting the environment and diversifying the economy were popular themes. Douglas Shire Council Mayor Julia Leu said this data gives Council a fantastic reference point for building the Corporate Plan. “We would now like our residents and business owners to get involved in a more in-depth discussion with us about what they want from their Council in the next five years,” she said. The early survey results were broken down to different regions, revealing a difference in priorities between the main townships and outlying rural areas. For example, Cooya Beach and Port Douglas residents value their parks, gardens and streetscapes the most, whereas the more rural areas want more money spent on roads and economic development. The survey is open until April 15. It can be completed HERE, or by returning the reply paid post card mail-out. A Corporate Plan sets the strategic direction and priorities for the organisation to achieve in the next five financial years. Elected members are responsible for setting this strategic direction for the organisation. The document is required under the legislation to be delivered every five years regardless of the electoral cycle. The next plan is due in July 2019. Mayor Leu said the interim results also showed overwhelming sentiment to grow tourism. “We know tourism represents about 80% of Douglas Shire’s economy, which is why we are one of the highest tourism funders per capita among local governments in the country,” she said. The full results will be presented at the community workshops.